This post is one that I was hoping I wouldn't have to be writing until the end of next season. 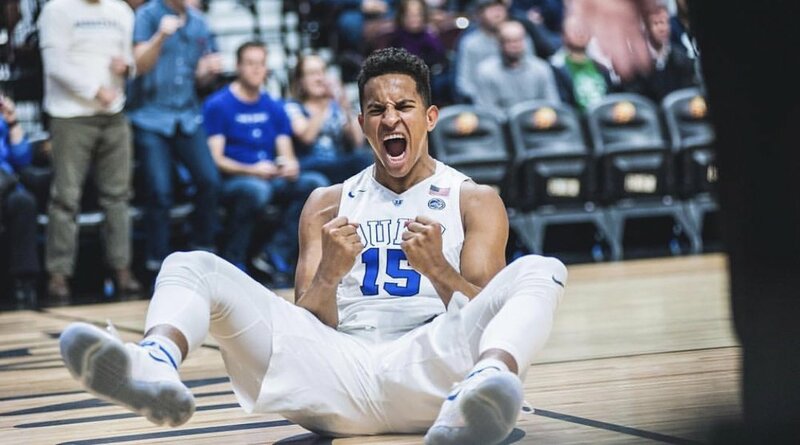 As many of you know by now, Duke player, Franklin (Frank) Jackson has officially declared for the NBA draft today (cue the crying). If you know me, then you know how strongly I like Frank as a player and person. I always tend to have a favorite player on the team and Frank was that for me this year, along with many other Duke fans. 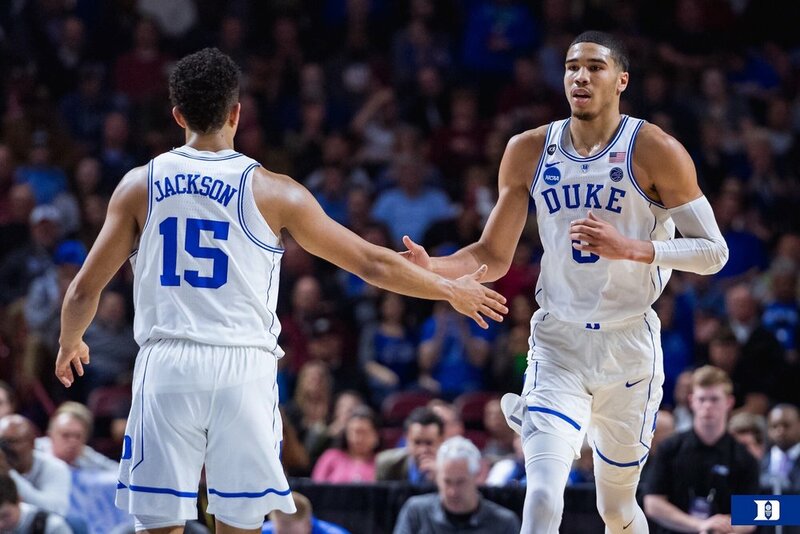 (Gary Trent is already starting to catch my attention for next season, along with possible teammate Jordan Tucker). I think this decision came as a surprise to all of us, including Duke insiders and some ESPN reporters. I thought maybe he is going to test the waters, get some feedback, and return to Duke for a breakout sophomore season and then proceed to the draft after. Kind of like recent teammate, Luke Kennard. We will never know now what it could've been. I felt all signs led to Frank returning 100 percent, I had no doubts of this. Suddenly one day, I saw rumors surfacing on twitter about him going into the league and that he was in Utah talking with different coaches and agents. This was a red flag to me, and it gave me a gut feeling that I didn't like. Later on I came across an article from the "Salt Lake Tribune", that stated an interview with Al Jackson, Frank's dad. In the interview it talked about how Frank had always dreamed of being in the NBA and being a "one and done". Al stated that it wouldn't even be a question if Frank didn't attend Duke. Apparently it was a hard decision because he liked being at Duke so much... if that was the case I think he would've chose to stay one more year (just my opinion). I also feel that maybe his dad influenced his decision. According to ESPN.com, Frank is projected to be a second round pick. I do think he could have been a first round pick for sure next year. Hopefully it works out for him how he is expecting. I wish nothing but the best for Frank and his future. His athleticism, explosiveness, and pure scoring ability are some of the reason's he is such a great player. He has insane potential to do something great in the NBA. Losing him from our team is definitely going to hurt, but we will hopefully come out stronger in the end, especially with Grayson leading them this year. I'm going to miss seeing one of my fave duo's, Frank and Grayson, or as my sister and I like to say, "Granklin". 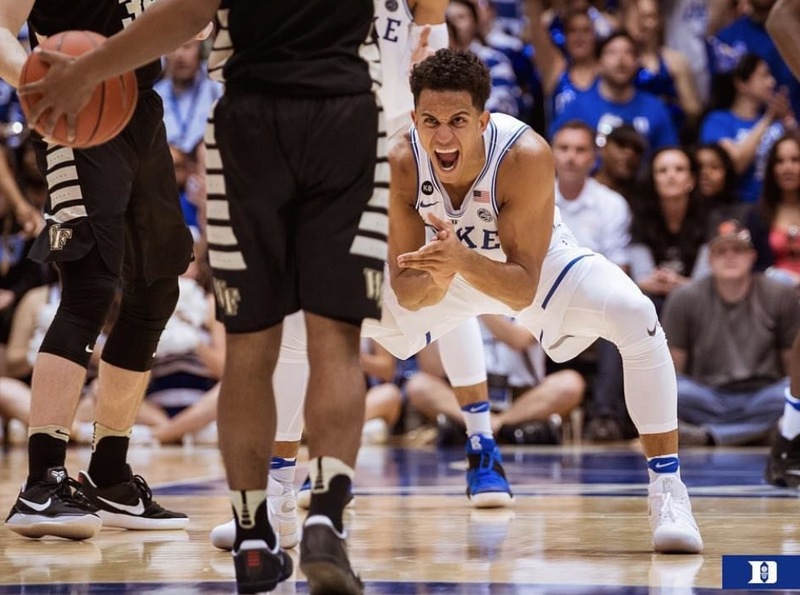 As I did for Grayson's return (featured in my last post), I would like to do a tribute to Frank for the year he gave us and reflect back on some of my favorite moments of him as a Blue Devil. Starting with the "Countdown to Craziness", when Frank stole the show with his killer dance moves, and twerking skills. He was also the first Freshman to ever receive the Pagliuca Family Coaches Award, and got to experience/contribute to Duke's 20th ACC championship title win. Although he only averaged 10.9 points per game last season, he definitely helped us out in many situations. I feel like anytime Frank was on the floor he gave it his all, he played with so much emotion every time. Frank helped us in our game against FSU, by scoring 13 points in about four minutes and 30 seconds to start the second half of the game. That was just one glimpse of what he could do for us next season, if he had stayed. His personality was also a reason why myself and many others liked him so much, it was one that stood out for sure. I remember while we were in Greenville for the NCAA, I saw a video that Duke MBB's twitter posted of Frank and Grayson being interviewed by the press... as Frank came in and sat down he saw himself on a monitor screen and whispered to Grayson, "Hey look we're on TV" and smiled so big thinking nobody could hear him. It is moments like those that will make us all miss him a little extra. In the end, even though it was highly unexpected, I do think Frank is NBA ready in terms of his skill and athleticism. 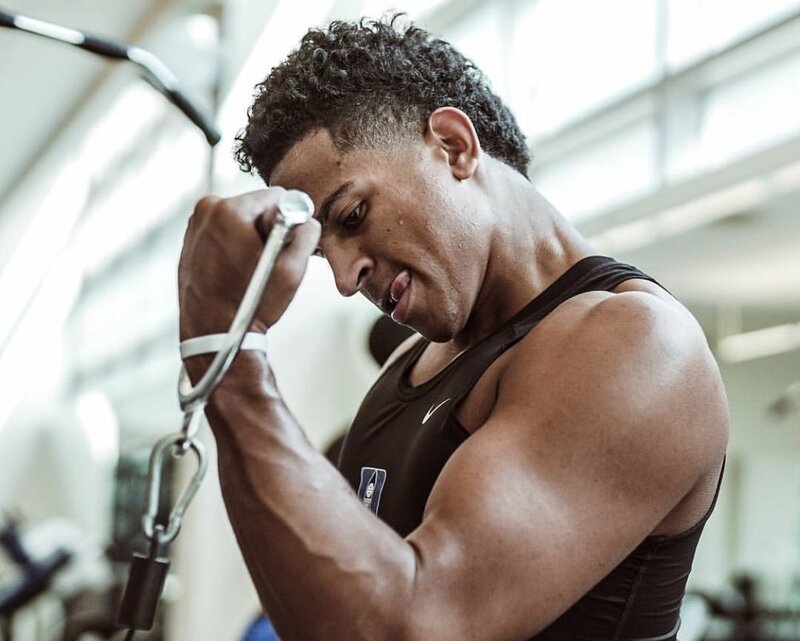 Did he max out his potential at Duke? No, I don't think so, but that doesn't mean that this was overall a bad decision. And although I didn't get to officially meet him, I did manage to get an autograph to add to my collection (big fan girl moment for me). Also, I was gifted with a custom-made Jackson jersey (which is featured in my G-ville post). I will always remember Frank as one of my favorite players to play for Duke. Like I mentioned before, I wish him the absolute best of luck in the NBA and support his decisions as a fan. 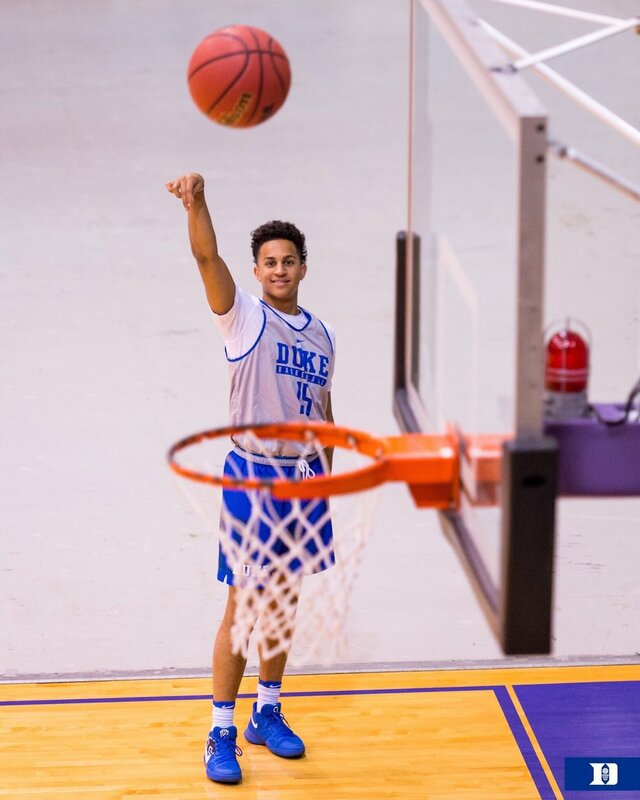 Along with the support of his family and Coach K, I think he is going to do just fine. Oh, and Frank, if you ever come across this post, I challenge you to a twerk off. But in all seriousness, it has been super fun getting to have Frank as a part of the Duke team this past season and best wishes to him! (enjoy the photos posted below as they are some of my favs of Frank from this past season).